In today’s app-driven era, healthcare executives and providers, pharmaceutical organizations and such are rapidly integrating technology to act as an enabler to adapt to strategies that spell more, with less. Connect the app to any current system at the click of a button, effortlessly! Install perfect apps across the Cloud or on-premise, on iOS, Android and Windows, smoothly! The Mobile App Maker is a committed to developing and deploying self-service apps for healthcare to reduce administrative costs, streamline call center services and optimize payroll management so that healthcare providers can improve employee and customer satisfaction. Doesn’t matter if you are vying to buy a pre-configured solution or a prototype and a fully-loaded app, The Mobile App Maker Employee Self-Service solutions for healthcare solutions can have you up and sprint for less than what a programmer costs. 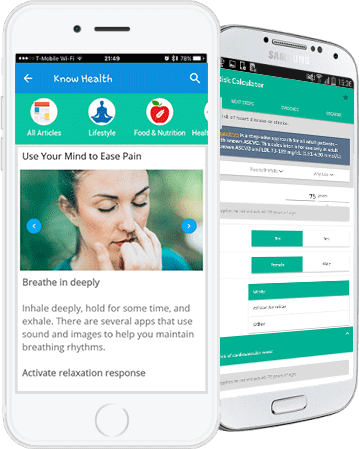 The app provides contact details, hospital/ER addresses, scheduling and wait times, to help keep patients get care immediately. Find a service provider or doctor from anytime-anywhere, whether you are at work, at home or on vacation. Provider, patients can manage claims without the need to access a specific insurance provider’s website or app. Getting your enterprise app development is easy with our Mobile Application Development Platform. We have already developed many functionalities in our prebuilt business modules which we offer organizations with the best practices, well-established business operations & processes, so we can maximize your budget by focusing on the features that are unique to your app. This helps us to build your mobile app at 10x Speed without compromising on quality. The healthcare landscape continues to evolve rapidly, from creating meaningful requirements to improving patient safety – The Mobile App Maker Patient Engagement Solutions for the Healthcare Industry open a deeper line of communication with all patients. Our app development platform is designed to help you build and deliver better apps faster. Connect the app to any current system, network at the touch of a button, seamlessly! Keep entire business related critical data with enterprise-grade firewalls, harmlessly! Build flawless apps for all platforms across like on iOS, Android and Windows, effortlessly! Experience the power of real-time business data and analytical reports in the palm of your hands.